The clock seemingly at a standstill as you are having a contraction. Your sister rubbing your back while a bead of sweat trickles off your nose. breath and sweeping your hair off your face. Your lips frantically reaching out for a sip of water. The look of concentration as your husband wrings out the cold cloth. …and then you crying out during one. 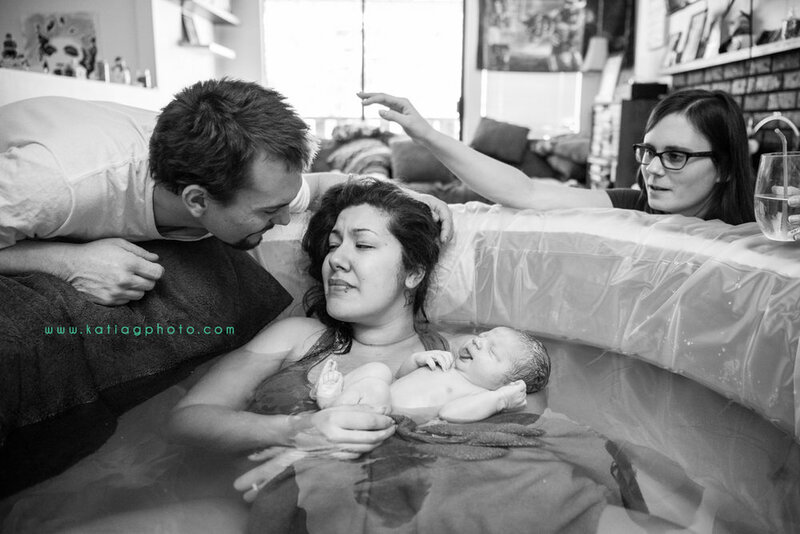 Your doula helping you into the birth pool. Agony – with a purpose – as your baby crowns. Baby’s first moment on your chest. Tears, smiles, laughter! Your first kiss together as a family of three. Your son stroking his new baby sister on the cheek for the first time. Baby’s first latch to your breast. She looks up at you with new eyes. And you look down at her with new eyes. You’re parents! Your husband’s look of pride when the midwife calls out; 9lbs! first nap with a new baby. These moments happen once. These moments are quickly forgotten. Capture them. Share them. Look back on them. Love them. I am a Birth Photographer. My job is to preserve memories that you wouldn’t even know you had, until you looked back on them. Labor and Birth is an intense event – things happen very quickly. There are no re-dos. There’s no predictability. You may think you will have time for photos, but truth is, you will probably forget all about the camera tucked away in your bag. These moments are fleeting and getting away from you with each second. 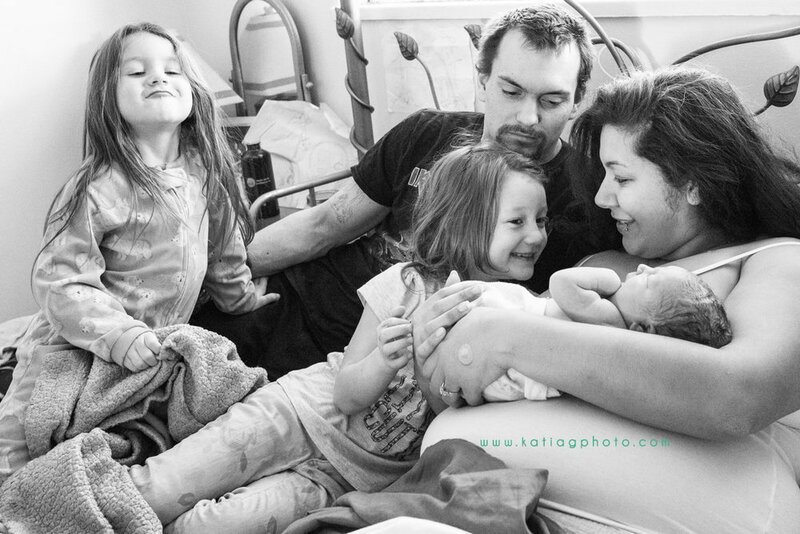 As a Birth Photographer, I am there 100% of the time to take photos that you will cherish for your entire life – and perhaps even pass down to your children. My presence allows your loved ones to focus on YOU and your needs. My job is to blend in with your surroundings while simultaneously preserving them. 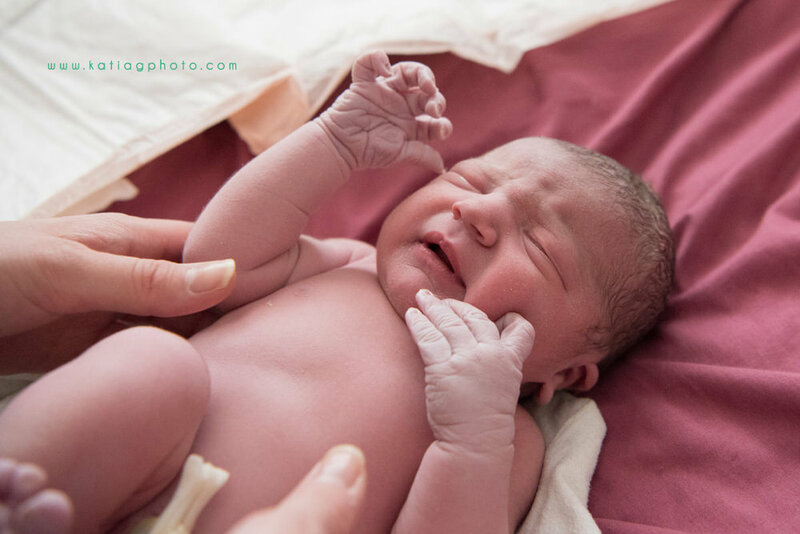 Contrary to popular belief, birth photography doesn’t have to be graphic. 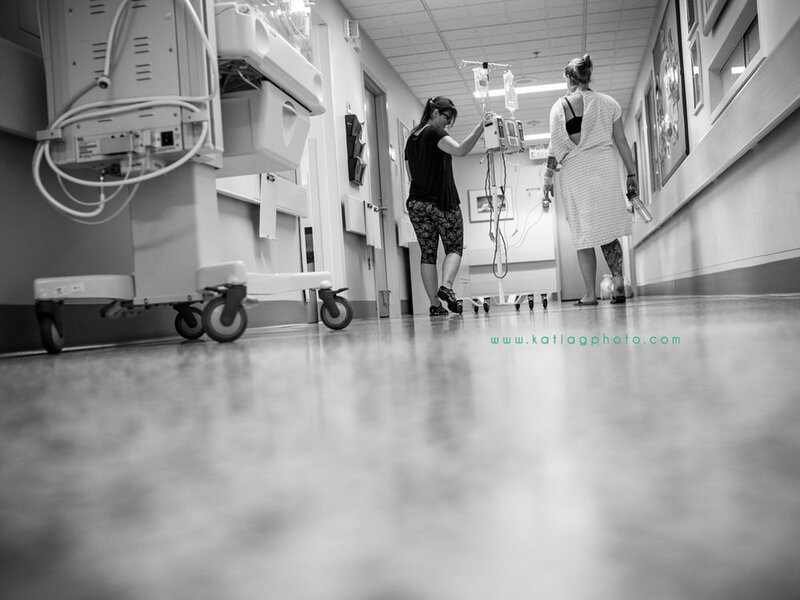 It’s not all about mucus, blood, and vernix! It’s about the emotions and the beginning of a precious new life – the most important Birthday! 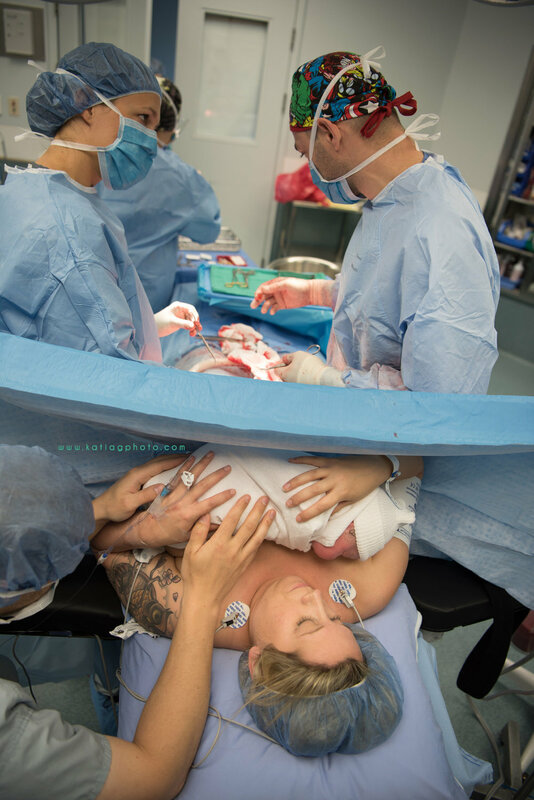 If you are an expectant family in Squamish, Whistler, Vancouver, or elsewhere in the Sea to Sky Corridor, and have questions about Birth Photography please contact me. In the meantime, take a browse through my Birth Portfolio. Due to the intimate nature of birth, I cannot show all of my work online. I do, however offer free, in-person consultations where you can view more of my work.